The new "Retiro del Teatro" apartments are located in the historic center of the city, 2 minutes walk from the Plaza Mayor. A few steps you can also find different shops and restaurants. Normally there is no parking problem, but we have a free parking 200 meters away. The entrance of the apartments invites you from the minute one to establish direct contact with the wonders that Almagro can offer you; A replica with details of our famous Corral de Comedias will invite you to plunge into the most emblematic environment of our City. 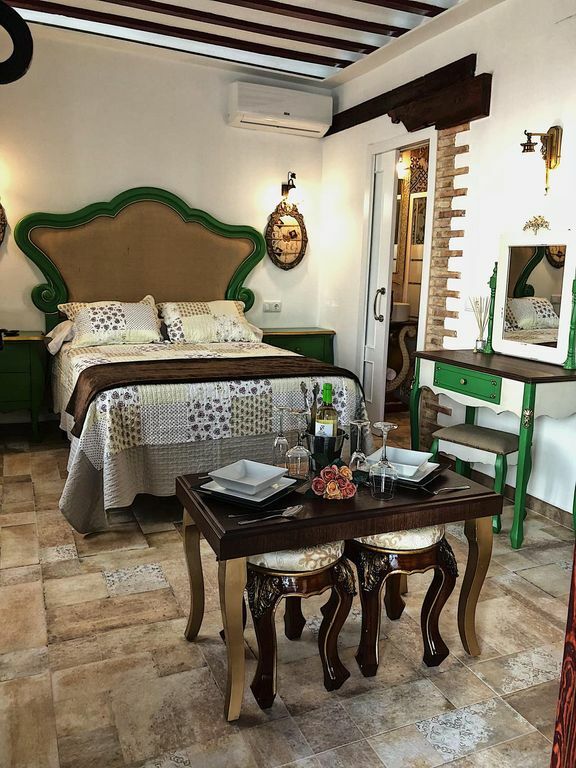 Retiro del Teatro is formed by apartments decorated in different styles to offer you a comfortable and welcoming atmosphere that covers all your needs during your stay in this leisure and enjoyment retreat. Guests will enjoy a beautiful entrance, fully equipped kitchen, rooms with private bathrooms, a cozy lounge and terrace.